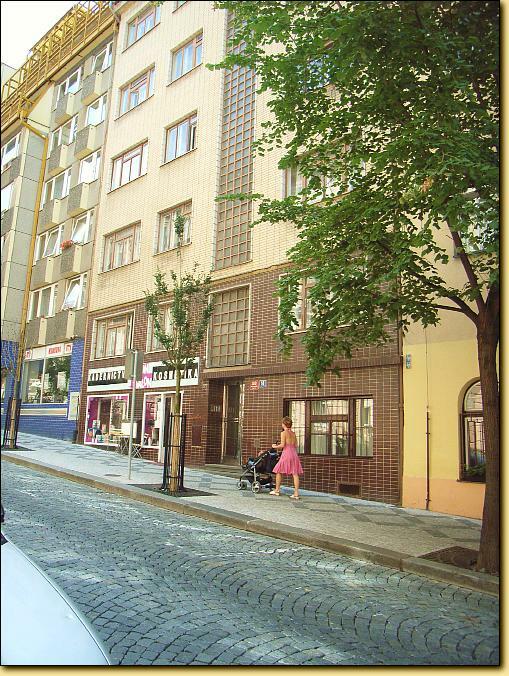 PRAGUE - VINOHRADY, ZAHREBSKA ST.
We are affording to offer you an apartments for tourist´s accommodation in our house in the part of Prague 2 - Vinohrady. Just about 15 min. by foot, or one subway station, to the Prague's historical center. The part of Prague Vinohrady is well known as the most beautiful and peaceful residential part of Prague and a great choice of restaurants, bars and shops is in the nearest surrounding. 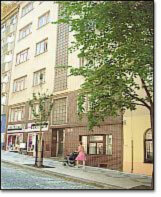 Houses on the side of Vinohrady were built since the begining of 20th century, as our house located at Zahrebska st. no. 18, which were built by our family at 1935. As the communists seized a power in 1948 y., the house became the property of the state till the "Velvet Revolution" in 1989. Shortly after this time a renovation of the house began and the apartments for short rent were added. If you choose this way of accommodation, you can taste the same feeling of privacy, as the major part of ordinary czech tenants in the house. These apartments are furnished in a charming wood style, and include: toilet, bathroom, and kitchenette provided by cooking needs, fridge, TV, computer + internet. The windows face south-east, outlooking to a garden inside the inner court of houses. A view outside can be rather limited because some apartments are located on a base level stage. You can to choice one-bedroom apartments, suitable for 1 - 2 (3) guests, or two-bedroomroom apartments, suitable for 2 - 3 (4) guests. The apartments are ready to use, cleaned-up, bed-clothes and towels provided. Have a look here what more you can to use in the apartments, please. To be your stay pleasant, the owner Mr. Machek is ready to help you in any matter you need to solve. 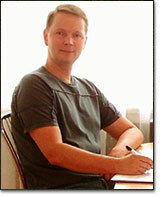 You can book any apartment and any days by contacting the owner Mr. Machek, directly, or by the booking form. Any question you have will be answered with a pleasure. Check the availability below to be sure there is a free apartment for your term, please.